Take the opportunity to practice your colour skills, revise and build your knowledge as we look at the colour characteristics in more depth and discuss those “difficult” clients. 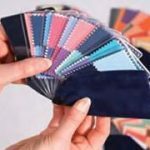 Presentations – what to include and what to leave out – ideas for colour talks without using any drapes! Speedy colour analysis for large groups. What to do if a client isn’t a “typical” season. In depth analysis of “the 5th season”. Using the colour characteristics to aid your analysis and guide your client. 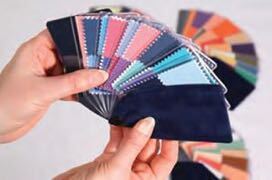 Using colour in your style consultations. A chance to work on one another and some models. Where: Latimer Place, Buckinghamshire, HP5 1UG. Close to Junction 18 M25, the Metropolitan tube line and Heathrow Airport. Cost: £60 for the whole day – including handouts, lunch and refreshments. Places are limited so please book your seat asap.